Well, I blew it. This should have gone up yesterday. But since heaven is outside of time, I trust St. Juan Diego will not mind. Originally posted December 9, 2009. In 1474, Cuauhtlatoatzin ("Talking Eagle") was born a member of the Chichimeca people and a subject of the Aztecs in what is now part of Mexico City, during an epoch that was destined very soon to end. When he was 18, Christopher Columbus landed in the New World. By the time he was 47, Spain had conquered the advanced yet blood-soaked Aztec Empire. However, within a decade, the Indians were laboring under crushing oppression at the hands of corrupt Spanish officials. The first Bishop of Mexico, the Franciscan Juan de Zumárraga, struggled vainly to defend his new spiritual charges, who were close to rebellion. The harried bishop begged the Blessed Mother for her aid. It was in this turbulent time, less than five years after the conquest of the Aztecs, that the Talking Eagle encountered the religion of the Spaniards. Even as a pagan, he appears to have led a life of penance and contemplation that no doubt laid the groundwork for what was to come to him in later life. The Talking Eagle became one of the earliest indigenous converts to the Catholic faith, accepting Baptism together with his wife and taking the name of Juan Diego in about 1524. Every Saturday and Sunday, a barefoot Juan Diego walked 14 miles to Tenochtitlan to attend Mass and receive religious instruction. After the death of his wife in 1529, Juan Diego moved in with an uncle, Juan Bernardino, which left him with only nine miles to travel to pursue his faith. On a Saturday just before dawn, he was on his way to pursue divine worship and to engage in his own errands. As he reached the base of the hill known as Tepeyac, came the break of day, and he heard singing atop the hill, resembling singing of varied beautiful birds. Occasionally the voices of the songsters would cease, and it appeared as if the mount responded. The song, very mellow and delightful, excelled that of the coyoltototl and the tzinizcan and of other pretty singing birds. Juan Diego stopped to look and said to himself: “By fortune, am I worthy of what I hear? Maybe I dream? Am I awakening? Where am I? Perhaps I am now in the terrestrial paradise which our elders had told us about? Perhaps I am now in heaven?” He was looking toward the east, on top of the mound, from whence came the precious celestial chant; and then it suddenly ceased and there was silence. He then heard a voice from above the mount saying to him: “Juanito, Juan Dieguito.” Then he ventured and went to where he was called. He was not frightened in the least; on the contrary, overjoyed. Then he climbed the hill, to see from were he was being called. When he reached the summit, he saw a Lady, who was standing there and told him to come hither. Approaching her presence, he marveled greatly at her superhuman grandeur; her garments were shining like the sun; the cliff where she rested her feet, pierced with glitter, resembling an anklet of precious stones, and the earth sparkled like the rainbow. The mezquites, nopales, and other different weeds, which grow there, appeared like emeralds, their foliage like turquoise, and their branches and thorns glistened like gold. He bowed before her and herd her word, tender and courteous, like someone who charms and steems you highly. At this point he bowed before her and said: “My Lady, I am going to comply with your mandate; now I must part from you, I, your humble servant.” Then he descended to go to comply with the errand, and went by the avenue which runs directly into Mexico City. that you entrust the delivery of your message to someone of importance, well known, respected, and esteemed, so that they may believe in him; because I am a nobody, I am a small rope, a tiny ladder, the tail end, a leaf, and you, my Child, the least of my children, my Lady, you send me to a place where I never visit nor repose. Please excuse the great unpleasantness and let not fretfulness befall, my Lady and my All. However, the Lady insisted that this important mission was for Juan Diego alone, and ordered him to go back and try again. He obeyed, and this time the bishop questioned him closely regarding what he had seen and heard, and told him to ask the Lady for a sign. When he returned to Tepeyac Hill after this second interview, the Lady told him to come back the next day, and then he would receive the sign that would convince the bishop to comply with her request. Hear me and understand well, my son the least, that nothing should frighten or grieve you. Let not your heart be disturbed. Do not fear that sickness, nor any other sickness or anguish. Am I not here, who am your Mother? Are you not under my protection? Am I not your health? Are you not happily within my embrace? What else do you wish? Do not grieve nor be disturbed by anything. Do not be afflicted by the illness of your uncle, who will not die now of it. Be assured that he is now cured. She then told Juan Diego to climb to the top of the hill, where he found a variety of choice Castillian roses growing out of season and on a barren patch of land. He gathered them and brought them back to the Lady, who arranged them herself in his frail cactus-fiber tilma and told him to present them to the bishop. When, after yet another long wait, he finally saw the bishop, he unfolded the tilma, and the roses fell out; and as the roses scattered on the floor, the image of Our Lady as Juan Diego had seen her on Tepeyac Hill appeared on the tilma. This put an end to Bishop Zumárraga's doubts and convinced him that this was Our Lady's answer to his prayers. In obedience to the Blessed Mother's request, a shrine was built at the foot of Tepeyac Hill, and the miraculous tilma was housed in the chapel. Juan Diego gave everything he owned to his uncle -- who had indeed been cured and had also seen the Lady at the very moment she told his nephew about his cure -- and moved into a small dwelling at the shrine, devoting himself to prayer, virtue, and the care of the shrine and the pilgrims who came to visit it. 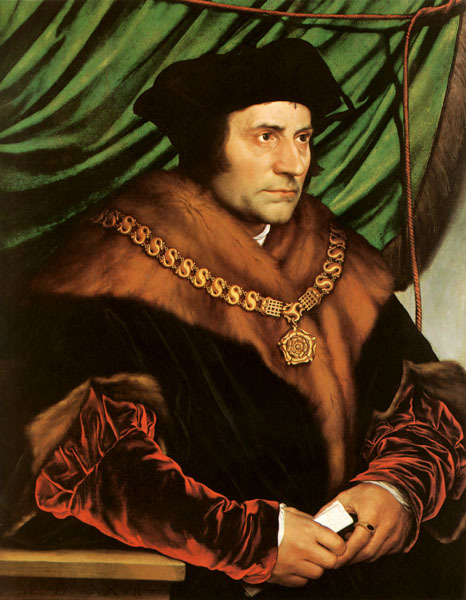 He received the then-extraordinary privilege of receiving Holy Communion three times a week, and died in the odor of sanctity on May 30, 1548 at the age of 74. 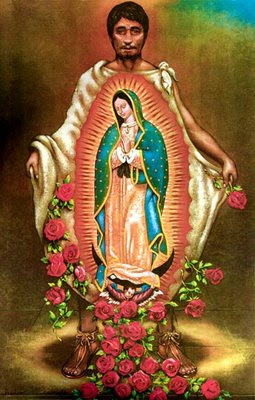 Meanwhile, by means of the miraculous image -- not to mention the humility and obedience of her servant, Juan Diego -- the Blessed Mother won millions of souls for the Church, and averted the bloody rebellion that had loomed on the horizon in Mexico. A footnote. Servant of God [now Venerable] Fulton J. Sheen was a great devotee of the Blessed Mother, and remarked that he prayed for the following intentions regarding his death: (1) that he "drop dead" at the age of 80; (2) that he die on a Saturday in honor of Our Lady, or (3) that he die on one of her feast days. 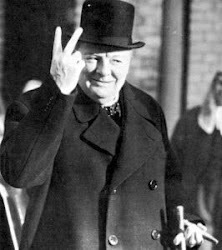 In fact, he died in 1979 at the age of 84; on a Sunday; and not on a feast of Our Lady. He was disappointed on every count. Or was he? The date of Fulton Sheen's death -- December 9th -- was the anniversary of the first apparition on Tepeyac Hill, and is now the feast of St. Juan Diego, whom Pope John Paul II canonized at the Basilica of Our Lady of Guadalupe in 2002. This is the most complete account (of many) that I have ever read. Thanks very much, Anita!